Kiev has started a criminal investigation angered by visit to Crimea by French MPs. The head of the delegation, Thierry Mariani says Ukraine doesn’t want foreigners to see the situation in the region is “completely normal” and people are happy. The Ukrainian Prosecutor General's Office launched a criminal case against a group of French MPs who went to Crimea in July to meet local politicians and visit a Crimean winery. The visit sparked anger in Kiev. Ukrainian MP and People’s Front party deputy Georgy Logvinsky, who initiated the case, said he hopes the parliamentarians will get up to eight years in prison and lose their seats. 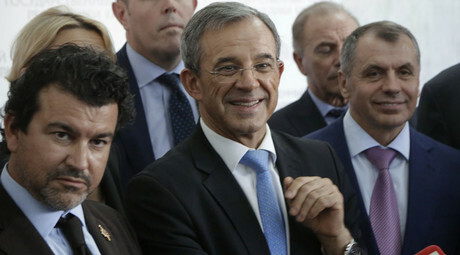 French MP Thierry Mariani headed the delegation to Crimea, and is one of those politicians facing the legal case in Ukraine. Speaking to RT, he said he was surprised by Kiev’s decision and said the same thing happened last year, when another group of ten French lawmakers visited Crimea for the first time. “Last year they started an investigation, this year they started an investigation… But an investigation [of] what?” he said. “Everything is very clear,” said Mariani, “it is just ten members of the French Parliament last year, more this year – 11” decided to go and see the situation in the region. “For us the situation is completely normal. We see people who [are] just happy to return in Russia,” Mariani told RT. “It is better to see the reaction of the people and to go. And what we saw – just a normal country with normal people,” he concluded. The French MP said Ukraine started the investigation, because they don’t want foreign delegations to go to the peninsula which reunited with Russia in 2014 just because they don’t want them to see the real state of things. “If the situation was so terrific, what will be the problem, if people go to Crimea and just see the situation? If the situation was terrific, they would return and say: ‘We saw the army, we saw the country under occupation,’” he added. Mariani said the incident won’t stop them visiting Crimea again. “I think next year we will do exactly the same. I have more than 20 other MPs, who want to be present,” he told RT. The only problem, he added, “is we have just ten places each year”. Since last year, over 20 French lawmakers have visited the peninsula and saw the situation there, he said. “Little by little I think the opinion is changing in France,” he told RT. He added that at the moment the war is going on in the Donbass region, in East Ukraine and people are losing their lives there. 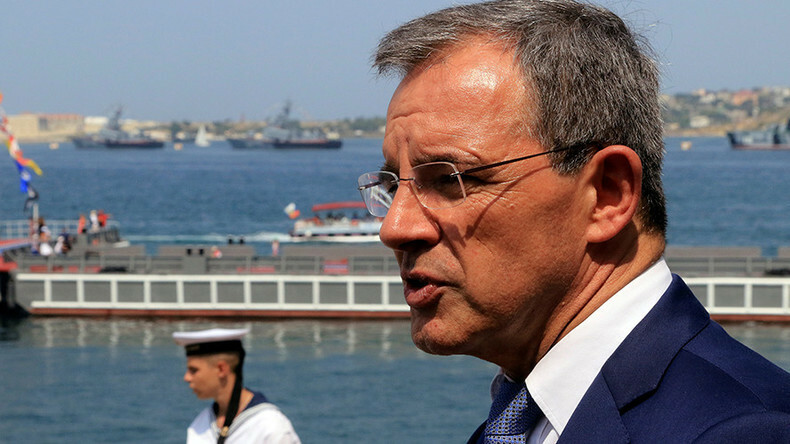 “But in Crimea everything is very calm, everything is very quiet,” Mariani concluded.